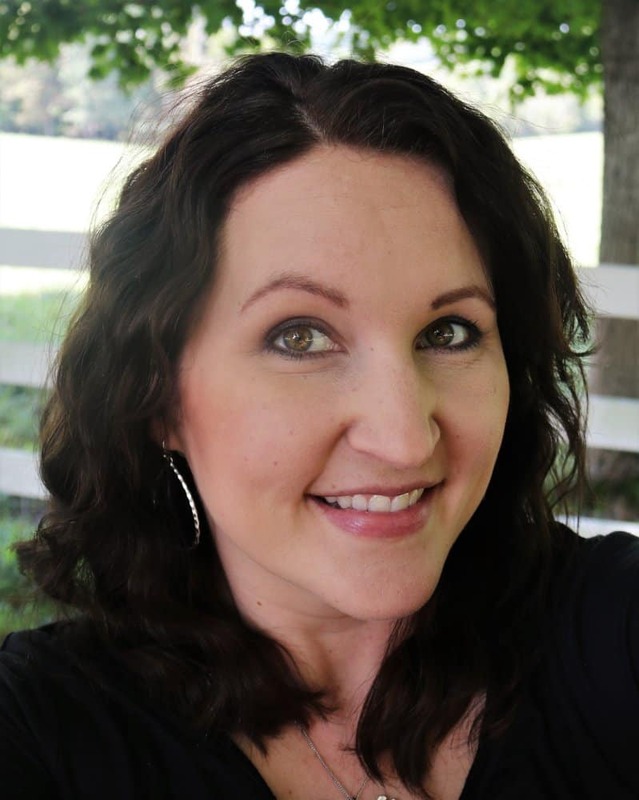 I haven’t had a fresh author for you to meet in a few weeks, but I have a very special author for you today – author Rachel V. Bull. She just also happens to be my very talented sister. Yes, she has been bitten by the writing bug and has put out her first in a series of children’s books. And I, of course, couldn’t be prouder. So, please help me welcome this very special author today! Her work is geared toward a 2nd-4th grade level, but children as young a 4 years old (tested on my own 4 year old) will enjoy this story! Welcome to my blog, Rachel! First, can you tell us a little about your book? My story is about a young girl who is going to an overnight camp for the first time. We see her excitement as she prepares for her adventure and then we follow her through her first day there. The story shows her interactions with the other girls at camp and how she sees opportunities to be kind to others. I like it. What was the inspiration for Jojo Goes to Camp? My inspiration began with memories of church camp, but I also wanted it to have more of a moral to it than just a girl at camp. I also always tell my kids to be kind and took this as an opportunity to show how being kind helps both the person receiving the act of kindness as well as the person being kind. I really think if we could instill that one trait in people the world would be a different place. There are so many small opportunities in life where you can choose to ignore a situation, to be mean, or take a minute and be kind. Interesting thought. I think I can get behind that. Acts of kindness really do make a difference for people. And a general attitude of being kind instilled in people would make for a different world. It never crossed my mind once to be a writer. I am analytical, big time. I see things in black and white and have never had much of an imagination. I have always been creative to a degree for things like problem solving difficult or complicated situations, but I’ve never applied myself to creative activities. I never had a dream job and definitely never thought I’d work in a bank, but I somehow landed in the perfect job for me and I love it! 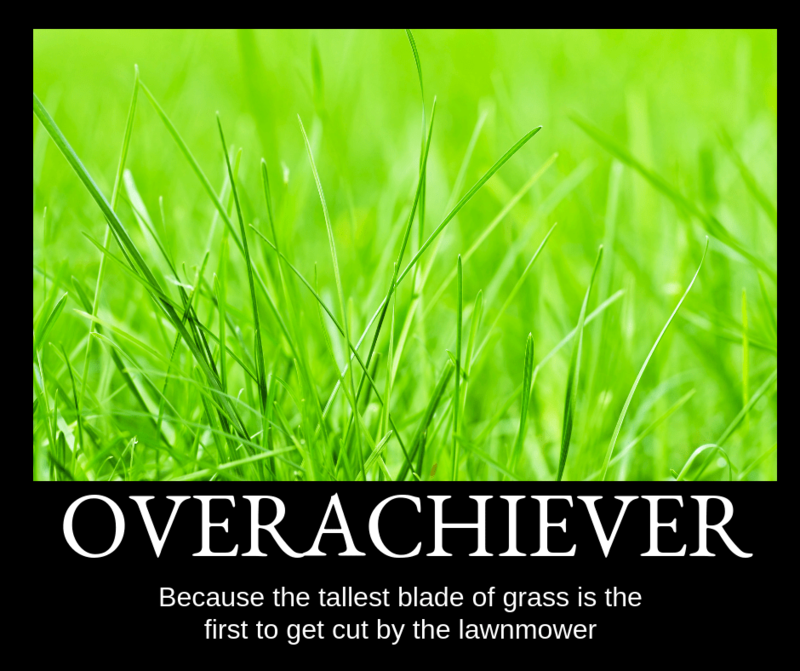 I work for an amazing company that values my skill set and everyone works as a team, from the top down. Having such a great work environment relieves stress and allows my time away from work to be enjoyable. I have taken up photography as a hobby and now writing, both of which I enjoy very much. They always say “find something you love, then find someone who will pay you to do that”. After the conversation with my sister. She really planted the seed in my head and one day after work I started typing out a story and didn’t stop until it was complete. I quickly began thinking of more adventures my main character could go on, which turned into personal stories from my childhood. Even as new as you are to the process, I’m sure you have discovered that there are things writers love about it and things they don’t like so much. What part of the writing process do you dread? It is hard to have someone criticize what you have done, but I always try to keep in mind that the editing process is to make my book better, not to point out my shortcomings as a writer. I think it’s important to remember that we can always learn from each other. On that note, do you have any suggestions to help me become a better writer? In my limited experience, the only thing I think I would say is write about something you either know really well or are passionate about. Also, don’t get discouraged by edits, they really do make your book better. Great advice! For most authors, we are big readers… What about you? What are you currently reading? I hate to admit this when I am talking about writing, but I’m not a big reader. Having four kids, I have read a lot of kid’s books. I recently read a book by a Christian radio deejay called Spiritual Misfits. The author, Brant Hansen, has Asperger’s and a neurological condition. Like myself, he is analytical and I can relate to the way he sees and interprets things. I usually have to get in the “mood” to write. (Not always…I can sit down as well as the next writer and make it happen when I have to.) But music is a big part of that for me. What about you? What kind of music, if any, do you listen to when you write? I don’t listen to anything. I get distracted really easily, so I prefer for everything to be quiet, if possible, when I’m trying to concentrate. If it isn’t quiet, I’ll put on a podcast to drown out the noise. I normally listen to the Bobby Bones Show podcast which is a replay of the radio show without the music. I also enjoy listing to Mike Rowe’s The Way I Heard It, which is similar to the old radio program The Rest of the Story with Paul Harvey. Since I like it quiet, I usually do my writing in the evening and wherever I can set up my laptop and have a few minutes to myself. My books have all been short stories for children, so they really don’t take too much time to write. I’d say between an hour to an hour and half. I think it over in my mind for days before I sit down and put it on paper. 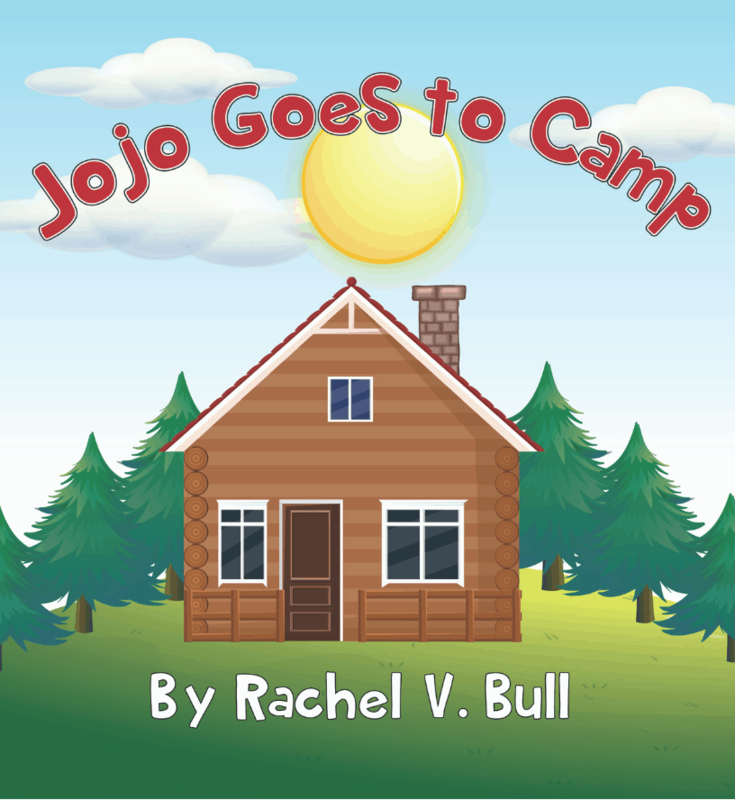 My newest and first release is Jojo Goes to Camp. A fun fact that makes this story different than my others is that it is not a story from my childhood. It is loosely based on my camp, but all the interactions are fictional. The two I’ve written since are actual experiences I’ve had. I have a list of titles for books to follow the three I’ve written. I want to go ahead and get my second two through the illustration process and final edits before I actually write anymore though. Thanks again, Rachel, for being on the blog and sharing about your book and your process. So, we’ll take a few minutes here and check out Jojo’s debut! Join Jojo as she sets off to enjoy her first ever summer camp! What will she see? Who will she meet? What adventures await her? Share in her experiences and see how Jojo puts into action the lessons she has learned. The girls rush to the door, practically running over each other. Jojo does not run to the door. Mama always told her to use good manners, and part of that was not running over our friends. In the rush, Rachel gets knocked off her feet and her glasses fall under one of the beds. She is searching for her glasses, but having a lot of trouble. The other girls don’t seem to notice. But Jojo does. She stops and squats down. She spots the glasses right away. She looks at Rachel. She sees a sadness in her face. It almost seems as if this is normal but it still makes her sad. Rachel seems relieved her glasses are found and a smile returns to her face. Through Jojo’s small act of kindness, she knows she’s made her first friend. I am a banker by day and supermom by night. I have been blessed with four wonderful boys who fill my heart with joy. Faith and family are the most important things in my life. In the past couple of years, I have become active in the children’s ministry at my church and this helped me realize how much of child I still am at heart. My sister, a published author who has written several novels, one day suggested I try my hand at a kid’s book, which I did. I was surprised at how quickly the ideas flowed and how much I enjoyed putting to paper my stories. I have written three short stories and published one, so far. I am in the process of putting together illustrations for the second which I hope to have complete before Christmas. A Convenient Risk was inspired by…believe it or not…an unplanned trip to a cemetery. I have a writer friend that is my conference buddy. We go to writers’ conference together. Well, we were on such a conference trip when I discovered that she likes to visit cemeteries (she is a history fan, like I am…well, maybe not just the same as me). I conceded a trip during the daytime. We found many interesting things. And our writer-brains went into overdrive. We did find one set of stones that indicated a younger woman who married a man much older than she, he died, then she married a man closer to her own age (who then died some time later…not really relevant information). But it got me thinking of second marriages. This situation in the cemetery might have been an arranged first marriage (it was the early 1900s), then when her husband died, perhaps she married her sweetheart. At any rate, I thought about how people tend to memorialize our loved ones who have passed on. Not that it’s bad…but we do tend to gloss over their flaws and only remember the good things. 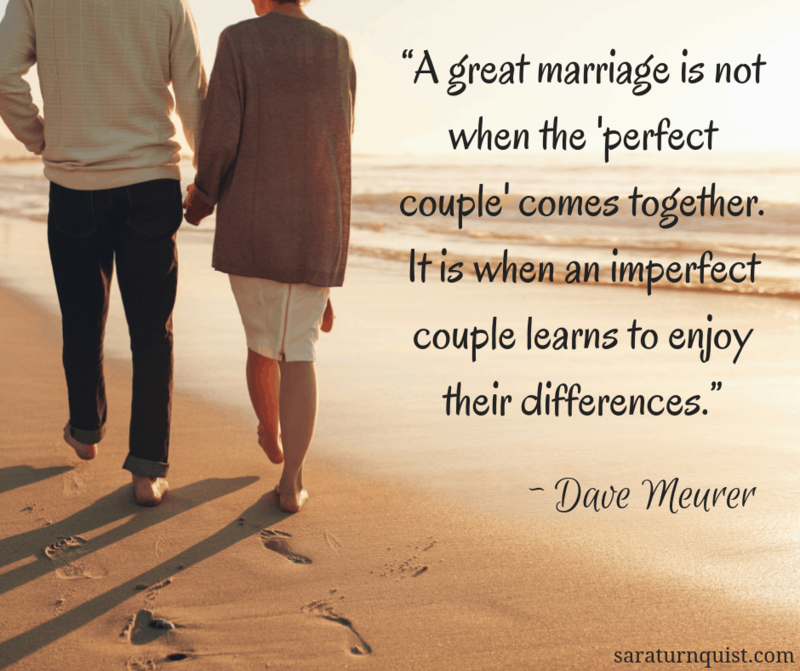 How does a second marriage partner compete with “perfect memories” from a first spouse. Especially if you’re not truly remembering the whole picture. Some more considering on these lines, throw in the complications of a marriage of convenience…and this story was born. A widow with a young son is in trouble. Amanda Haynes must put aside her grief and do something to take care of her son. 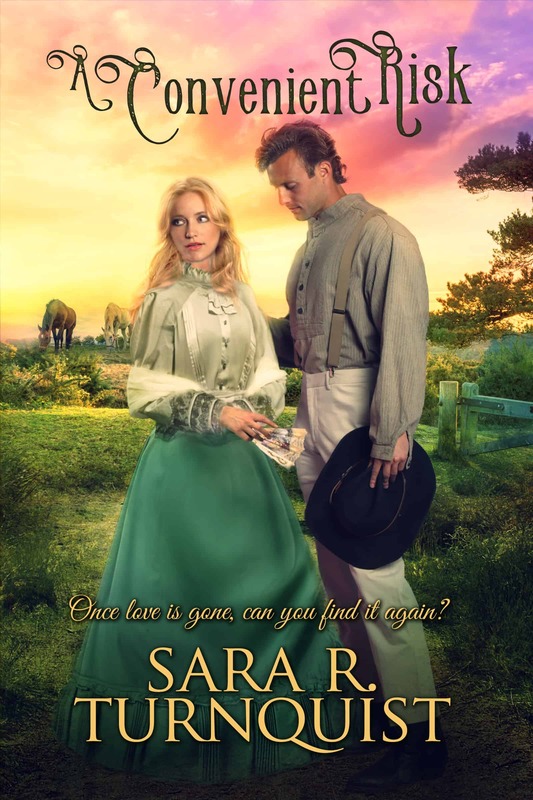 Marrying a struggling rancher who wants her dead husband’s herd appears to be her only choice. Only…she’s never going to love again. No one can replace the only man that ever loved her. Butting heads over managing the ranch, her frustrations seem insurmountable. What has she gotten herself into? Is there any way out? 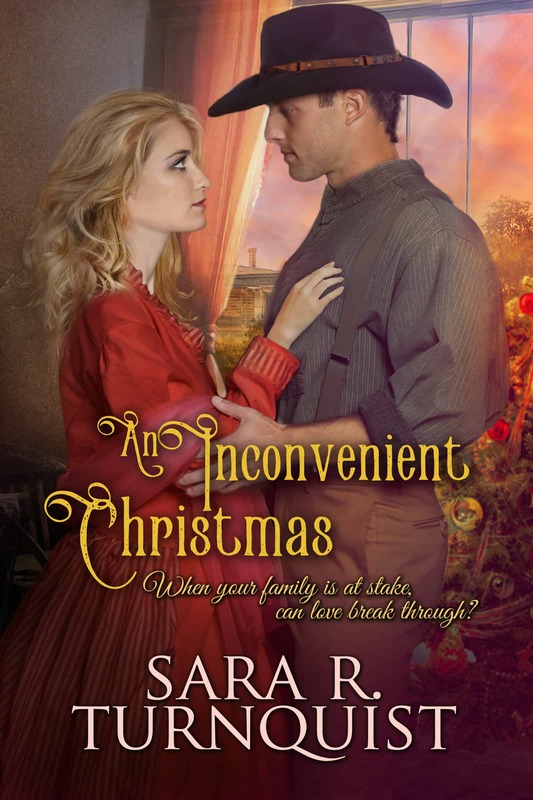 You’ll never put down this marriage of convenience romance, because everyone has hope. The bull continued to eye Amanda. She rose to her feet with slow movements. Was it her imagination or did the bull tilt its head? Should she run? Glancing the fence line out of the corner of her eye, she noted the distance that fell between her and her destination. She would never make it. The large animal nodded its head, up and down, up and down, its horns rather prominently displayed. And the warmth drained from Amanda’s body. Then the bull looked past her. Somewhere into the distance. Why? Straining her ears, she heard it—hoof beats—slowing as they approached. Dare she turn to see who was brave enough to come to her rescue? “Do not move,” a calm voice said. Brandon! Relief poured through her. He would know what to do, wouldn’t he? The calf continued to screech. And though it tugged at her heart, she could do nothing to help the injured animal. Brandon was near. She could sense it. And he continued to inch his horse forward. The thumping of the horse’s hooves on the grass allowed her to track the mare’s location. The bull flicked his tail back and forth, but kept watching her. Warmth now emanated from the horse’s body as Brandon pulled up next to her. What? What was he doing? Why would he take off his shirt? Her heart raced. Still, she had no choice but to trust him. In her periphery, she saw movement as Brandon unbuttoned his shirt and slid it off. Licking her lips, she nodded. Would she be able to do this? Then she closed her eyes. She had to. “Are you ready?” His voice was calm. Too calm. Amanda opened her eyes. “Yes.” Would she survive this? With a shaky hand, she raised her arm closest to him. 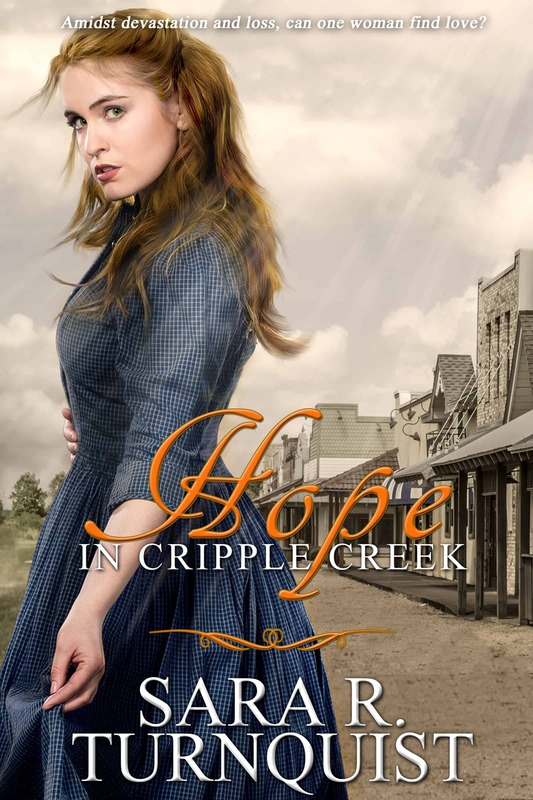 A strong arm grasped her, catching her upper arm and dragging her onto the horse. As soon as she was solidly on the animal, she grabbed ahold of Brandon as tightly as she could. Brandon and Amanda are ready for their “Happily Ever After”. This Christmas will be a time to share with their little family and maybe experience some much needed peace on earth. That’s when the letter comes. And everything is turned upside-down. Nothing is as it should be and tensions mount. Will they make it through this holiday season unscathed? Or will they be torn apart by the time Christmas Day comes? Amanda Miller tied another red ribbon into a bow on the fireplace mantle. Hopefully she was nearing the end. As much as she loved decorating, it could become tedious. Hands slid around her waist, and she was pulled against a strong chest. 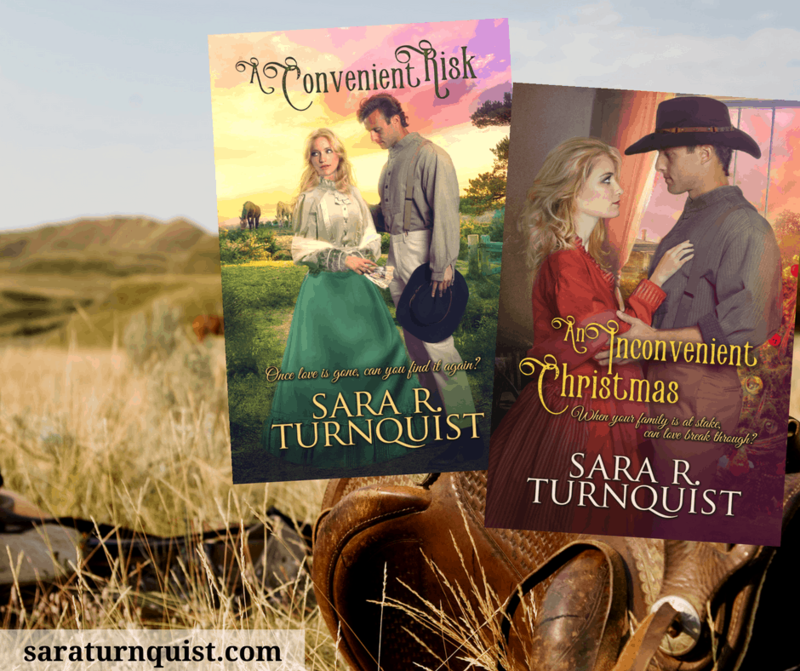 Her husband’s masculine scent filled her nostrils, and she leaned into him. How had she become so blessed? She turned her head to peer at him. Was he serious? A playful gleam in his eye answered her unspoken question. Her lips tugged upward. How she loved this man! Laying hands atop his on her stomach, she relished the feel of him. His strong arms and secure hands were well known to her. Worked by ranch life, they were capable and calloused. Yet gentle as well. “Momma,” a little voice called from across the room. Pulled from her reverie, Amanda’s attention fixed on the small girl toddling toward them. It didn’t matter that Louise said the word a million times a day; it was glorious. A grin broke out across the child’s face, creating dimples in her chubby cheeks. The wriggling bundle, teetering with every step, somehow made it to Amanda’s outstretched hands before falling. She lifted her daughter, swinging her into the air and kissing the baby-fine skin. When she stopped, she caught Brandon’s eye. “I see you’ve forgiven her for saying ‘Daddy’ first.” He reached forth a hand for Louise to capture it. She did, pulling at his fingers. The child grinned and pulled two of Brandon’s fingers into her mouth. He jerked them back with a catch in his breath. His brows furrowed, and he let out a concerned grunt. A chuckle escaped Brandon. Was it something to laugh about? Brandon furrowed his brows and let out a long breath. Amanda fingered the curls in the child’s soft hair. Was that truly all they could do? What more would she suggest? Perhaps Brandon was right. “After all, she comes by that feistiness pretty honest. It’s one of her mother’s more…intriguing qualities.” His voice was husky as he put an arm around her, drawing her near. Amanda’s head cleared of all but him. She was helpless when he spoke to her like this. He pressed a kiss to her forehead, his breath lingering on her skin. The door opened, and Louise wriggled for freedom, but Amanda didn’t let her escape. Amanda spun toward Samuel. Where had he been? Shouldn’t he have been helping her with the decorations? She opened her mouth. “Did you finish with the horses?” Brandon’s chest vibrated as he spoke. The horses? What did Brandon have Samuel doing with the horses? Amanda clamped her mouth shut. She would not disrespect Brandon in front of her son, but this was not over. Samuel’s eyes lit up. His gaze shifted toward Amanda. A clapping of the door on its hinges was his only response. Standing, she eyed Brandon, brow raised. Amanda crossed her arms. Dare she concede? Could she not? Why did she want to keep her boy close to her skirts? Why must Brandon constantly be pushing him further away? His mouth curved upward, but his brown eyes rested on her lips. “I might just take the risk.” Leaning forward, he pressed his lips to hers. Would she ever become numb to this feeling? This excitement, this heat coursing through her? Or would his kisses thrill her for as long as they both should live? His arms wrapped around her back, and he tilted his head to deepen the contact. But after a few moments of bliss, she pulled back. No, she couldn’t get distracted. “I’m afraid not. And I need to talk to you.” She drew farther back. “Oh?” He watched her every movement. She glanced at Louise. Had she caught hold of something dangerous? There was no end to the child’s mischief. The small girl sat where Amanda had set her. For once. Amanda reached for the box of ornaments, picking it up and, moving toward the dining space, placing it on the table. “Everything all right?” Brandon called from where he had remained. She pushed her hair back and sighed. How to broach the subject? Why was she so nervous? Couldn’t she tell Brandon anything? She turned toward him and leaned against the table. “I know that look.” His brows furrowed. What look? How did she look? Did her features display her worry? Her trepidation? It would be best to just be out with it. “But that can’t be what has you so worried.” He crossed the room, closing the distance between them. She chewed on her lip. “What is it?” His eyes were caring. Concerned. Guilt filled her. She had to tell him. Her eyes widened. That had not occurred to her. “Then what is it?” He rubbed his larger hands along her upper arms. Brandon’s jaw clamped shut. She watched as the muscles twitched. How long had it been since he had heard from his parents? Years? Decades? And all of a sudden a letter comes? Why now? She searched his face, holding the envelope between them, ready for him to take it. But he just stared at it. “Did you read it?” His eyes met hers, and there was a darkness to their depths she had not seen in a long time. “No.” She pushed the word out. His hands on her arms had grown limp. Should she insist he take the letter? Or offer to read it for him? Was this something he needed to do? Louise let out a cry. Amanda looked in her direction. There was a block in her hand that was well wet. Louise broke out in fierce tears. Had she been chewing on the block and hurt her gums? Or bitten her finger by accident? Amanda glanced at Brandon, pushing the letter toward him. She could no longer give him time to think. Brandon stood, holding out his hand with the envelope. She rushed to Louise and picked her up. The child immediately snuggled into Amanda’s chest, her cries now muffled by Amanda’s shoulder. As the crying let up, she shifted the child to her hip and examined her fingers. Sure enough, there was a reddened place on the forefinger of her right hand. Louise looked at her finger and then at Amanda. Her cries waned as if she wasn’t sure what to do. But they soon vanished as the small girl stuck her finger toward Amanda’s mouth again. He stood just as she had left him, staring at the unopened letter. What could she do? What could she offer him? She stopped herself. That was the old Amanda. He needed her support. Her love. She reached for a dining chair and pulled it out. Brandon all but fell into it. Grabbing for the chair next to him, she sat with Louise on her lap. His eyes met hers, and she nodded. He slid a finger under the flap and tore through the seal. Freeing a hand, she squeezed his arm in reassurance. Pulling the papers free, he unfolded them. His eyes drifted over the writing. He let out a long breath. I’m a coffee lovin’, word slinging, Historical Romance author who’s super power is converting caffeine into novels. I love those odd little tidbits of history that are stranger than fiction. That’s what inspires me. Well, that and a good love story. But of all the love stories I know, mine is my favorite. I live happily with my own Prince Charming and our gaggle of minions. Three to be exact. They sure know how to distract a writer! But, alas, the stories must be written, even if it must happen in the wee hours of the morning. I will select, by Rafflecopter, a winner who will receive e-copies of both books in the series. I will also select a second winner who will get a $10 Amazon gift card. They will be selected from the same Rafflecopter entry board. Please follow the directions indicated below. Ever feel like you’ve got too many plates spinning? Then you think…I just need to get organized! And, down the road, you get a little more organized, and a little more… No? Just me? 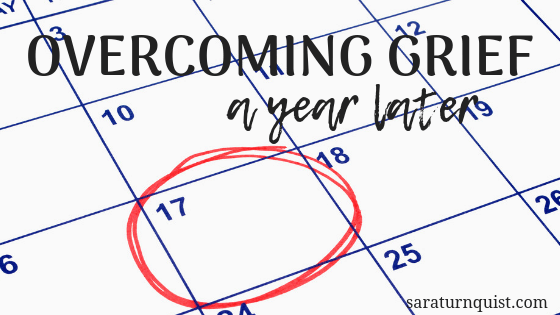 Anyone ever feel like your organization is causing you to be overwhelmed? It was for me. I am uber-organized. And I mean it! It’s not a bad thing…until you take it to extremes. 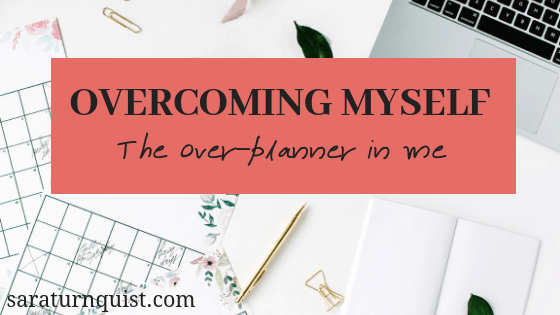 I had/have the perfect planner, the right binders (yes, you heard me right binderS) to organize all the major areas of my life – social media and blogging, home life, writing and research…you name it! The planner…oh my word…my planner! I got onto the downloadable planner concept…where I could take what I liked from here, or there, add my own created sheets when I couldn’t find quite the one I was looking for, then take the thing to an Office place and have them spiral bind it. Mind you, I could only manage a three month stack at a time. And it was a nice thick planner. Goal setting, bucket list, party planning, writing and plotting sheets, week and month layouts…I’m getting goose-bumps just typing this. I planned every day, every minute. There was no room for truly relaxing (though I planned in time for it). Who can make relaxing happen at 2:30-2:45 on Monday when there’s 10 more things on your “to do” list? 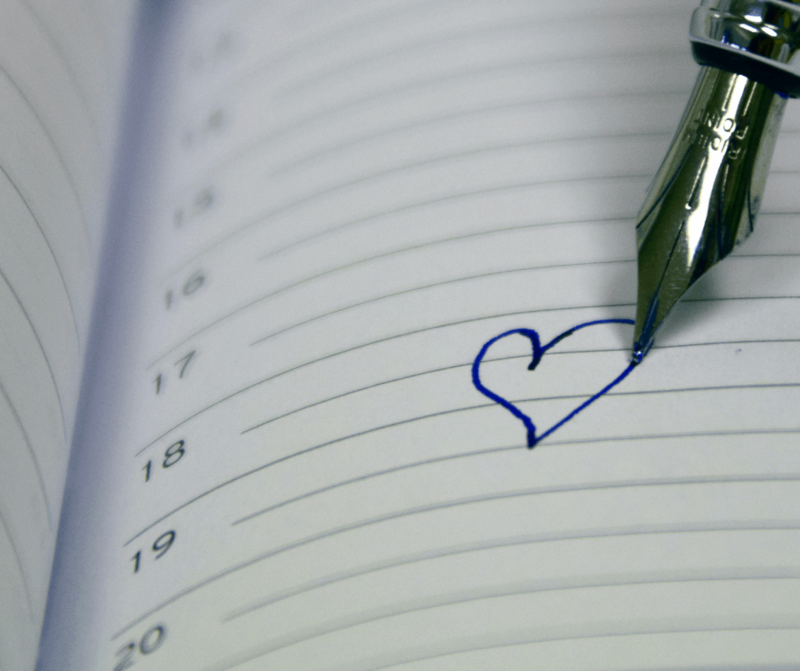 Scheduling relaxing? Not that you shouldn’t plan a block of time for relaxing…but 15 minutes…come on! What was I thinking? I needed rest. Soul rest. The kind that is deep and meaningful. The kind of rest where you sit with the Lord and just be. So, I surrendered my carefully charted, carefully laid out system to the Lord. Maybe that’s what “dying to myself” looks like right now. Will I go back to my system? I don’t know. But right now, I am focusing on being sensitive to the Lord and what He is asking of me. And He wants me to be still. As many of you know, I lost my mother in the Spring of 2017. So, I have gotten past the one year mark. And I have learned some very interesting things about grief. Some of which I have blogged about in the months following her death. Some that I have only come to learn in the last couple of months. As time passes, I have a better taste, I believe, of what life will look like without her…what it will look like to carry on and grieve her in the years to come. And I would like to share some of those insights. Something shifts right around that one year mark. And things do change. There comes some kind of acceptance. Not that it’s okay that your loved one, or my mother, is gone. But that it’s okay to move on in the grieving process, to move on with life. You realize that, while you will never get over losing your loved one, you can get through it. You might wonder ‘what is the difference?’. I think that when you lose someone so close to you, they will always be a part of you. There will always be those moments when you catch yourself in a memory…but that won’t always mean that the memory brings pain and tears. Eventually, you will be able to remember them and smile more often than not…think of them fondly. The sting of the loss becomes more of a dull ache. When I reflect on my mother’s passing, it is no longer the sharp stab of pain. It doesn’t bring deep sorrow. There is an ache there, but I am able to, again, remember her well and share those memories with my husband or my kids and reminisce. This gives those moments purpose. 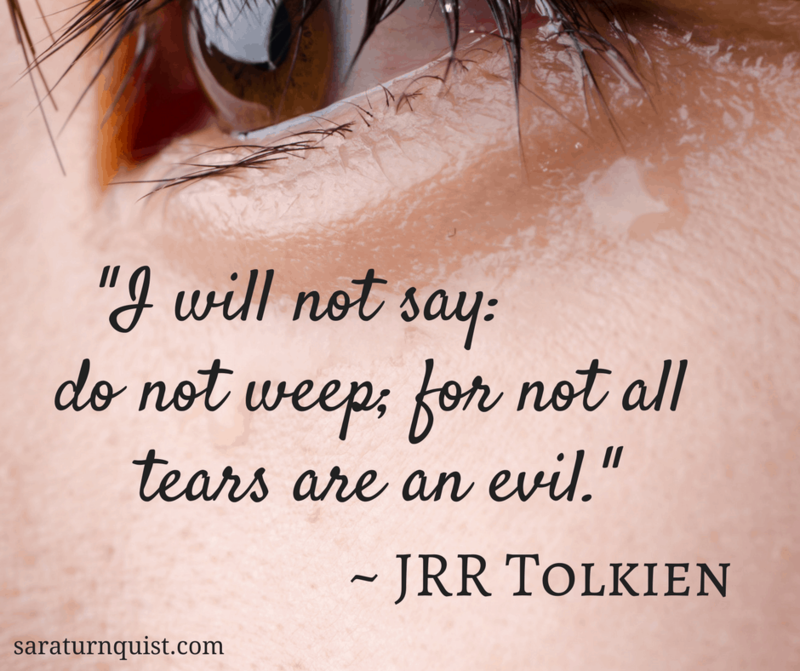 You probably will still have crying spells. It’s not all sunshine and roses. I pass the cemetery where my mother has been laid to rest every day. I press my hand to the window as if to reach out to her. A quiet sadness touches my heart and I miss her. As well, when my sister laughs, I hear my mother. She shares so many commonalities with my mother it surprises me. Her smile and laughter are just a couple. But it stirs my heart when my sister laughs. It pulls me from the moment and takes me back to moments shared with my mom. And there is the ache. But I choose to let my lips lift and share the joy of the moment both in the memory and in the present. And celebrate my mom living on. These are just a few of the things I’ve come to find as the days blend into weeks and time marches onward. But they have been true for me. How about you? Are there insights you have gleaned from a loss that you would like to share?